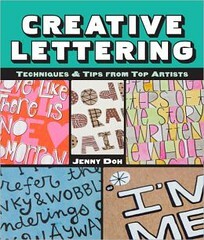 If you enjoy pretty letters (the art of writing beautiful words by hand) in your art journal, this book is for you. 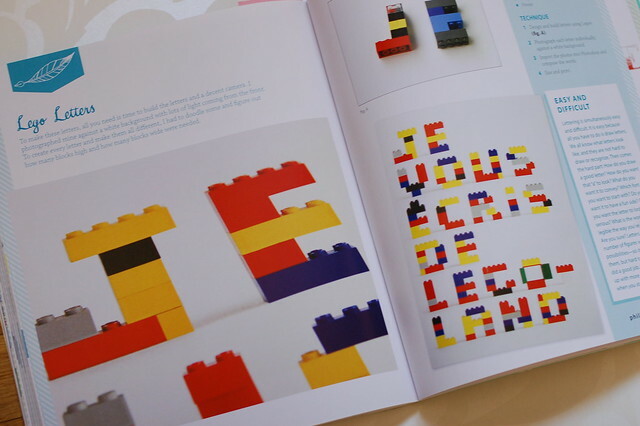 It’s something between an inspiration book and a how-to one, collected by Jenny Doh who also made the similar Journal It!, that I recently reviewed. Both consist of samples of art journals and notebooks supplied by creative bloggers. 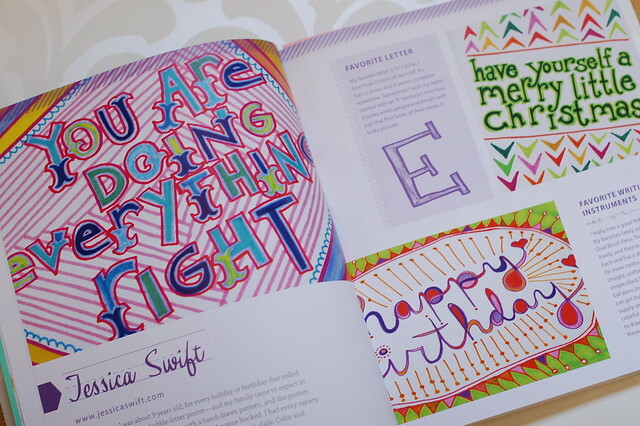 You are introduced to their favorite way to draw letters, a handwritten alphabet and a short tutorial on how to “copy” and use their style in your own journal. 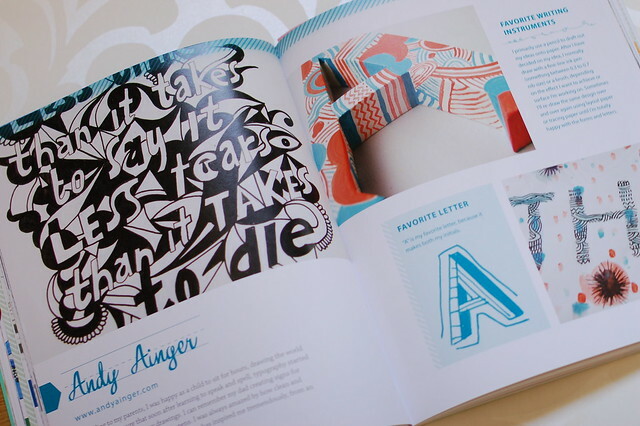 I think the book Creative Lettering is a fun read, mostly because you’ll meet creative bloggers, including favorite artist Aimee Dolich. I greatly admire her artful writings and poetic words. Just today I bought her new and yellow doodled washi tape, from her Artsyville Etsy Shop. Yum! Her way of writing is to go back into longer text and “thicken up” the thin lines of all her letters until she is happy with how they look. It creates her own unique font that many of us adore. 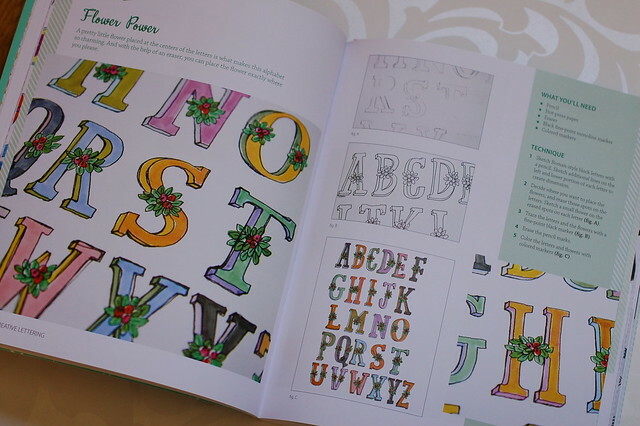 Other letter artists and bloggers featured in the book are Lori Vilegen, Pam Garrison, Jessica Swift, Lisa Engelbrecht and Martha Lever. For all of them the lettering IS their art, and the way they do it unique and awesome. Take time to visit their blogs if you haven’t already. I’m sure they’ll inspire some art making today. I have Lisa Engelbrecht’s beautiful pink covered book Modern Calligraphy and Hand Lettering in my bookshelf and recommend you got check it out if hand lettering turns out to be your thing. Lisa is a skilled calligrapher, who uses her handwriting to make art pieces in mixed media, on both paper and fabric. If you want to try calligraphy you need a good pen, like a nice flowing fountain pen, that has a slanted tip. Calligraphy is really fun to play with! How do you like to hand letter a text, and with what? * Inspiration on Lettering – a Pinterest board full of examples, copy to learn! This entry was posted in Book Reviews and tagged books, hand writing, journaling, lettering, the art journaling life, typography. Bookmark the permalink. Bokstäver är så kul! Gillar att leka med dem både med pennor, färg och broderitråd. Good review. :) I was not sure if I wanted it, but your review has made me realise I do! My writing style changes depending on where I am writing and what the purpose is. I write everyday since i only able to think clearly while writing. Sadly even i find myself difficult to read my own writing.